SAN FRANCISCO (KGO) -- San Francisco police arrested 19-year-old Joshua Spencer who they believe is responsible for a shooting that happened Saturday, June 27. 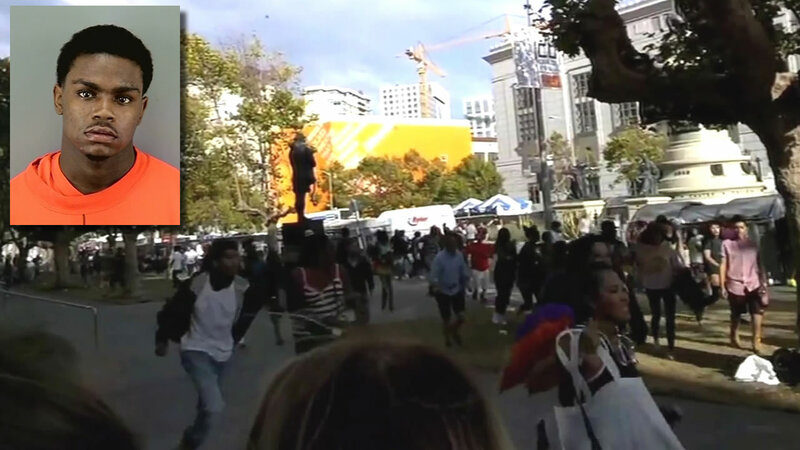 The gunfire erupted around 6 p.m. during the Pride festival near Civic Center, but police said it was unrelated to the event. They said before the shooting happened, several groups of men had a verbal argument near the venue. A bystander was hospitalized after a shooting in the area of United Nations Plaza near the tail end of the Pride Celebration taking place in the Civic Center Saturday, according to police. A street vendor was shot in the arm at United Nations Plaza and suffered non-life threatening injuries. He was later released from the hospital. Members of the San Francisco Police Department's Gang Task Force Unit found the suspect in Vallejo and he was arrested Wednesday. Spencer faces two counts of attempted murder, discharging a firearm in public, and possession of an unregistered firearm. Shots Fired at SF Pride 6/27 https://t.co/XQb4RhPdwF #throughglass #ABC7Now.